Besseya alpina (Alpine Kitten Tails). Synonym: Synthyris alpina. Placer Gulch, July 17, 2011. 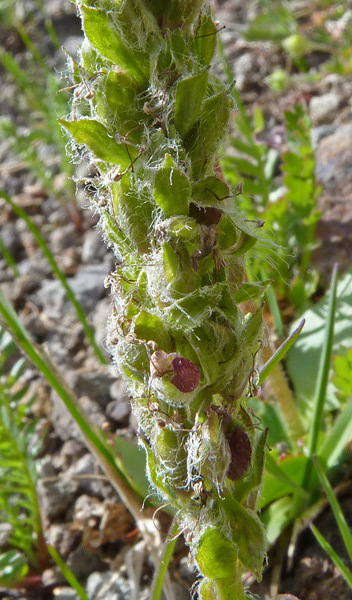 Besseya alpina is a minute and exotic addition to the alpine tundra. 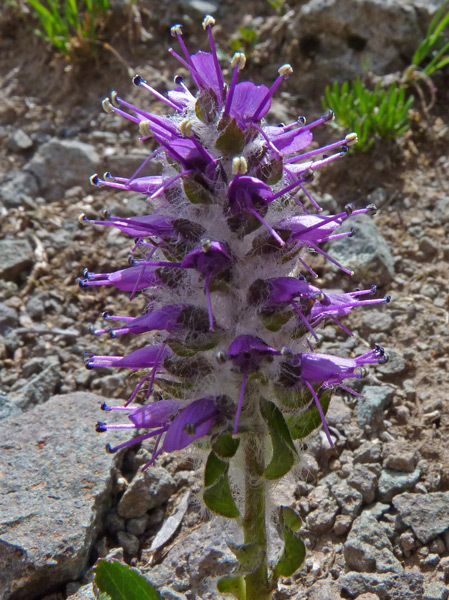 It grows from 2-8 inches tall and can be quite hairy, as shown here, or glabrous (not hairy). As the map below indicates, Besseya alpina is found in just a few western states. Besseya alpina is one of the many plants that Charles Parry discovered for science. He did so in 1861 in the "headwaters of South Clear Creek [Colorado]". 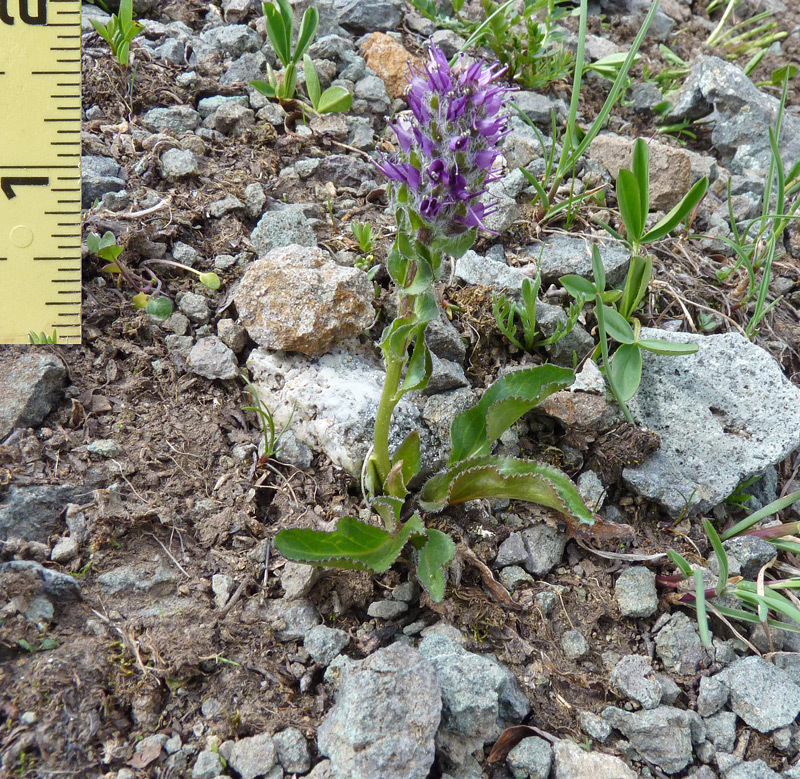 The plant was at first named Synthyris alpina by Asa Gray. Per Axel Rydberg renamed it Besseya alpina in 1903. Click to see Besseya ritteriana and to read about the meaning of the genus name. Flowers have faded and seeds are beginning to form.